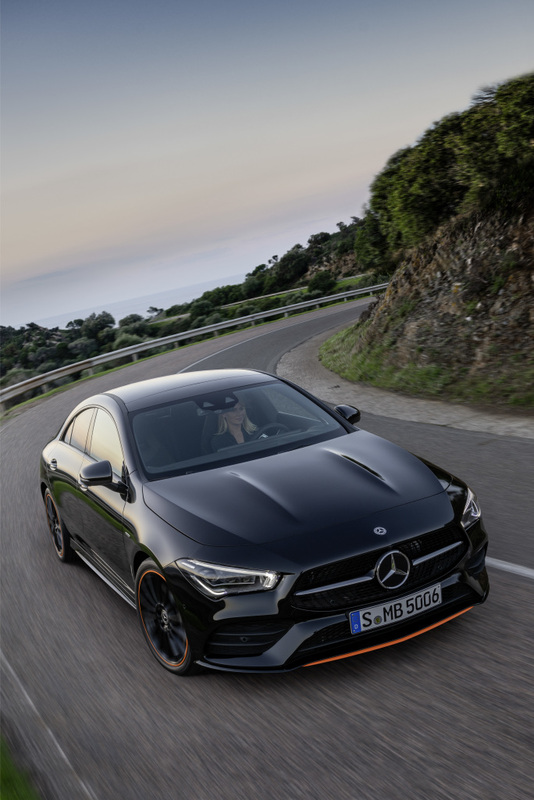 The new Mercedes-Benz CLA Coupé is not only the most emotional vehicle in its class, it is also highly intelligent: From MBUX Interior Assist, which recognises operational demands from gestures and equips the interior with intelligence, through augmented reality for navigation and understanding indirect voice commands to the ENERGIZING COACH that provides individual fitness recommendations, the new CLA offers an array of clever solutions. There are also ingenious details when it comes to the aerodynamics and new functions for the Intelligent Drive driving assistance package. 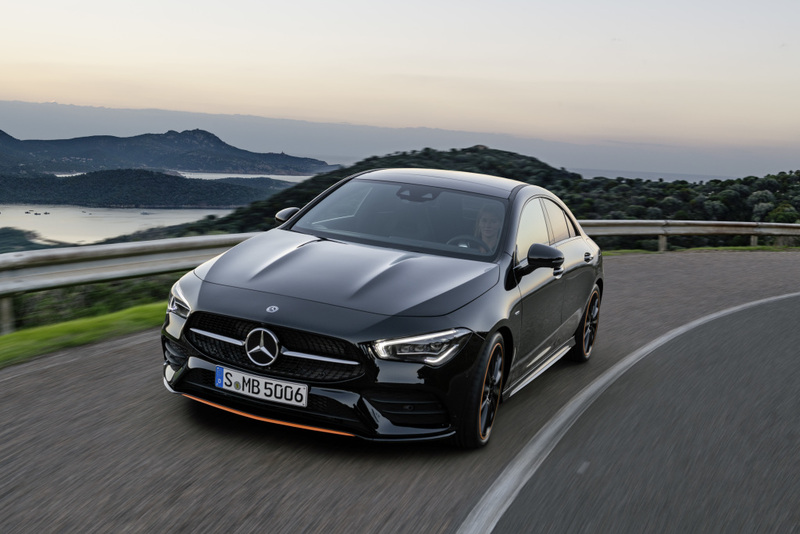 The design underlines the coupé character with its stretched form and design elements such as the bonnet with powerdomes or the rear licence plate which has been moved down. As such it does justice to its predecessor’s status as a design icon. 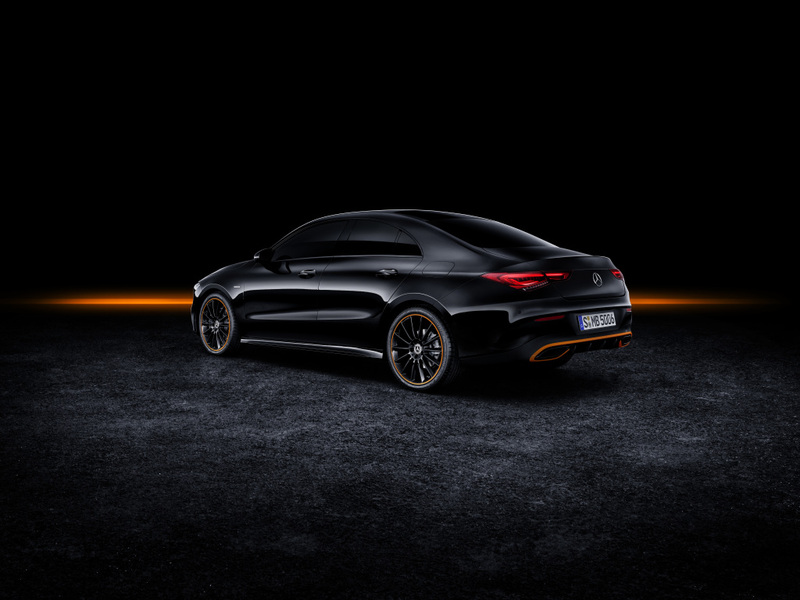 Mercedes-Benz CLA, Edition Orange Art, AMG Line, cosmos black. 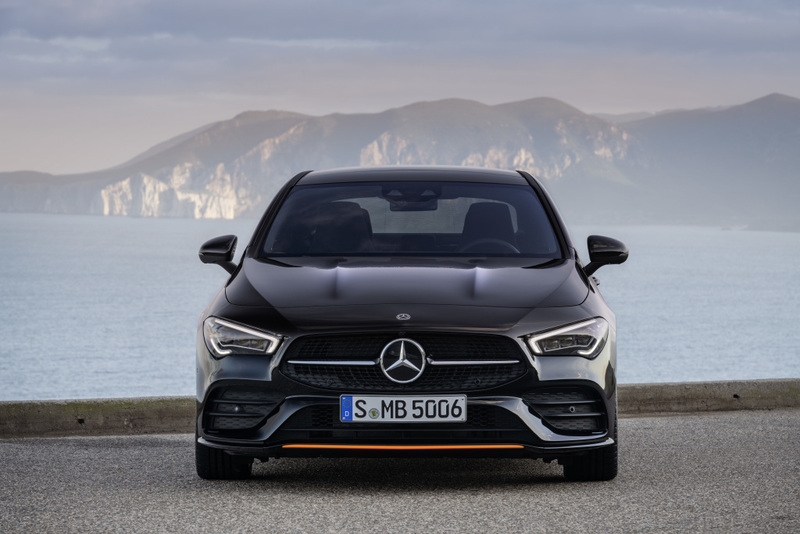 The new generation of compacts has made a key contribution to the rejuvenation and image change of the Mercedes-Benz brand. 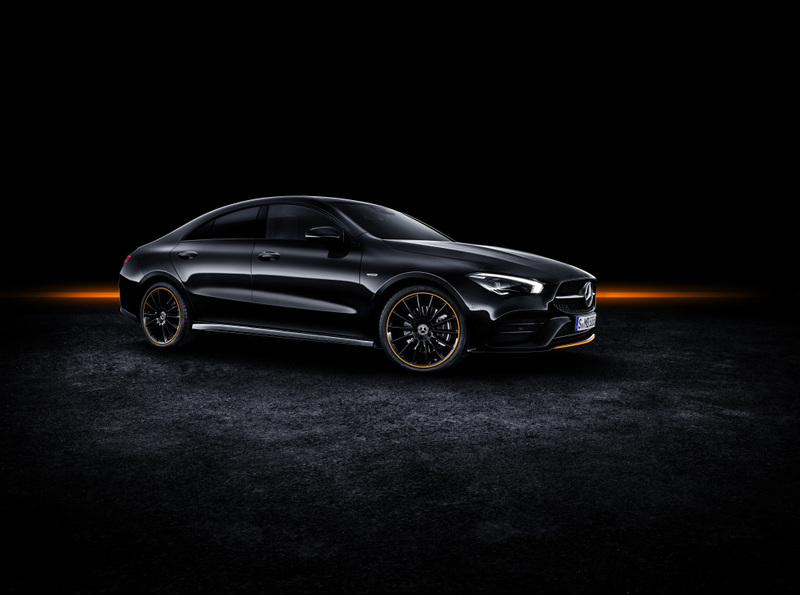 The CLA is important for winning and retaining new customers in particular. 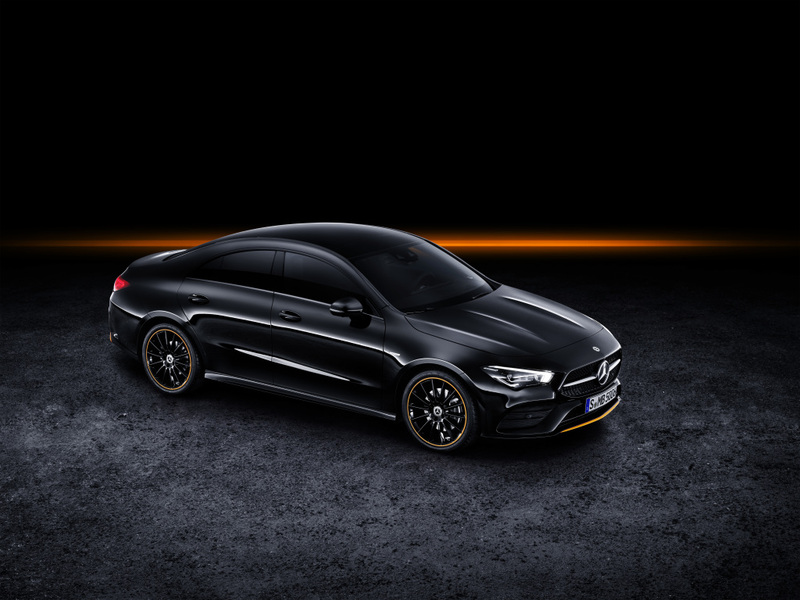 The CLA Coupé was launched in the USA in 2013, making it the first compact Mercedes‑Benz on the American market. 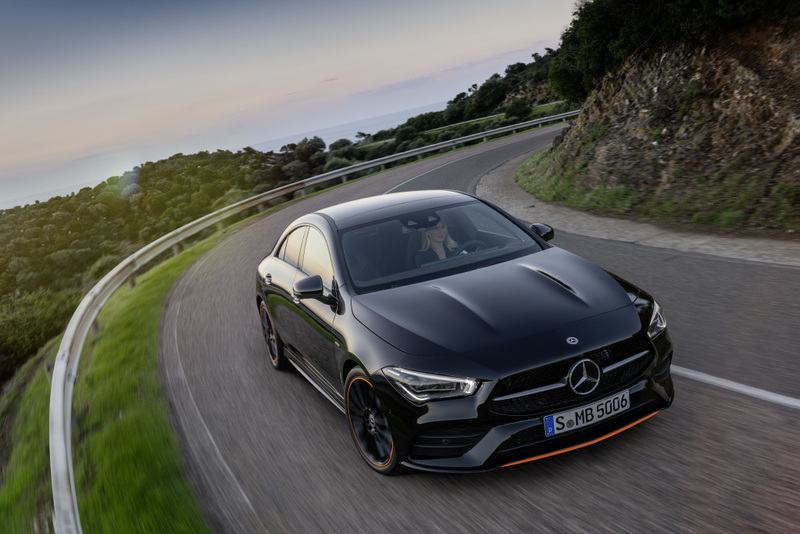 At peak times, more than two thirds of CLA buyers in the USA came from competitors. 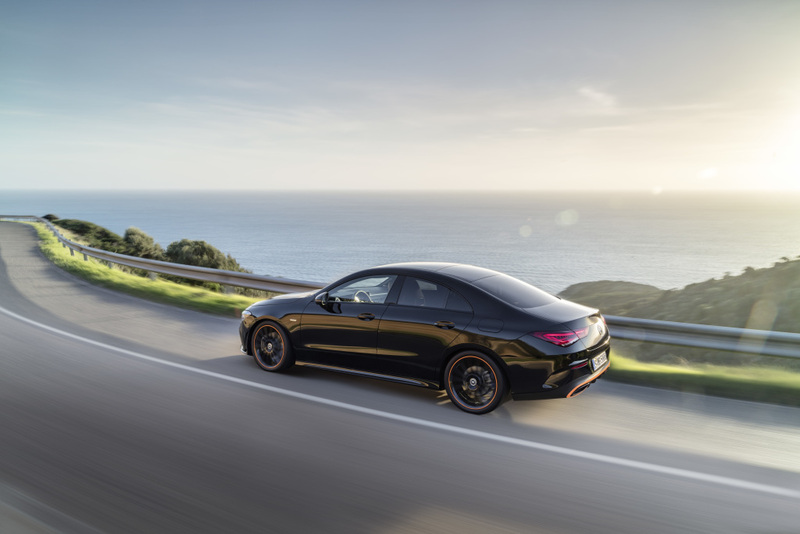 On average, CLA customers in the USA are around ten years younger than the typical Mercedes‑Benz customer. 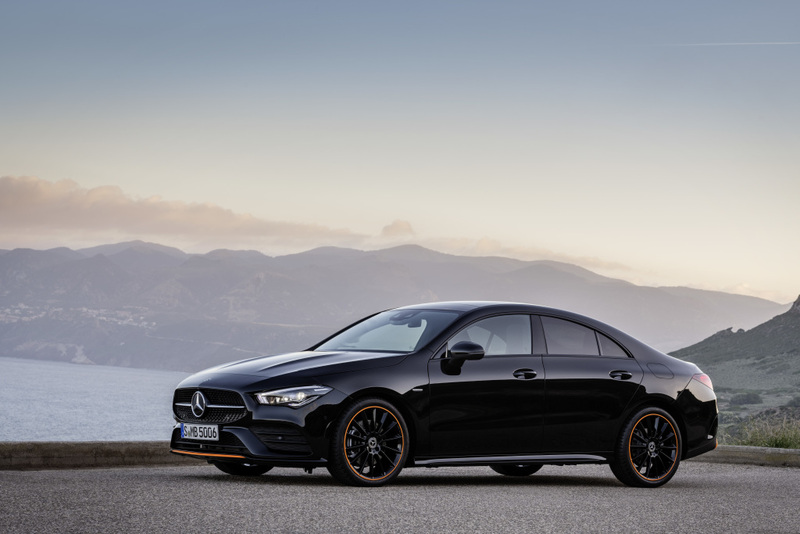 In Europe, too, CLA customers are among the youngest in the Mercedes portfolio. In 2017, one in two customers in Europe previously drove a competitor’s vehicle. 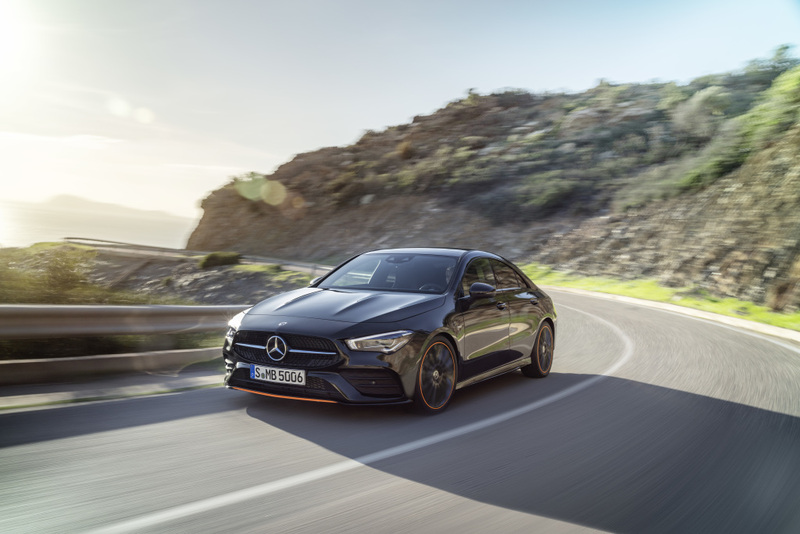 Over 75 percent of European customers who previously drove a CLA as a coupé or Shooting Brake chose a Mercedes‑Benz again for their next vehicle. 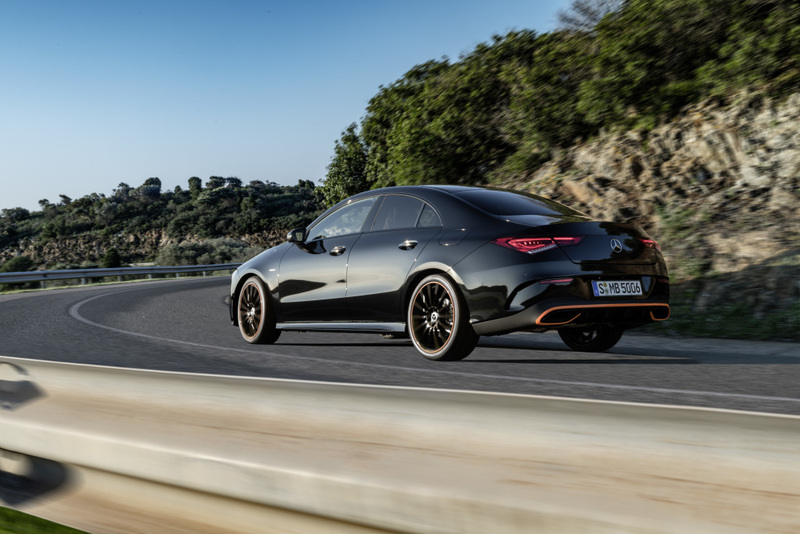 In total, some 750,000 units of the first-generation CLA Coupé and CLA Shooting Brake contributed considerably to the compact car’s success. 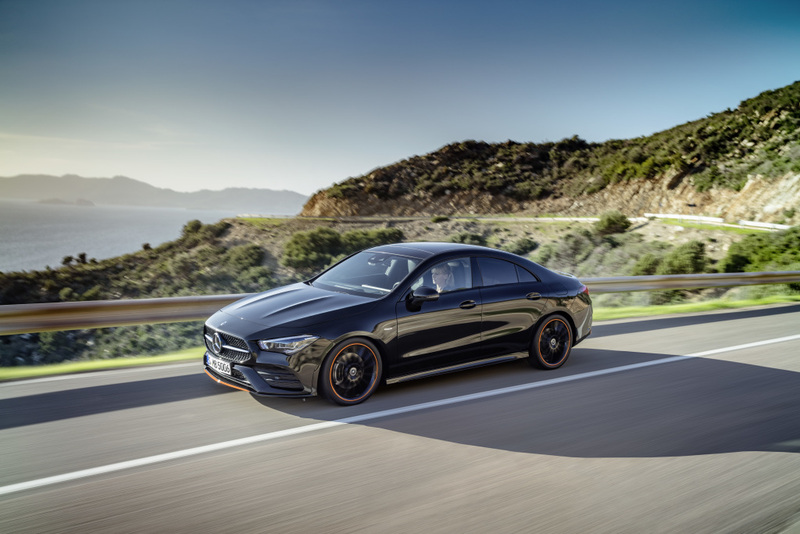 In its first year, the new CLA will also be available as an Edition 1. 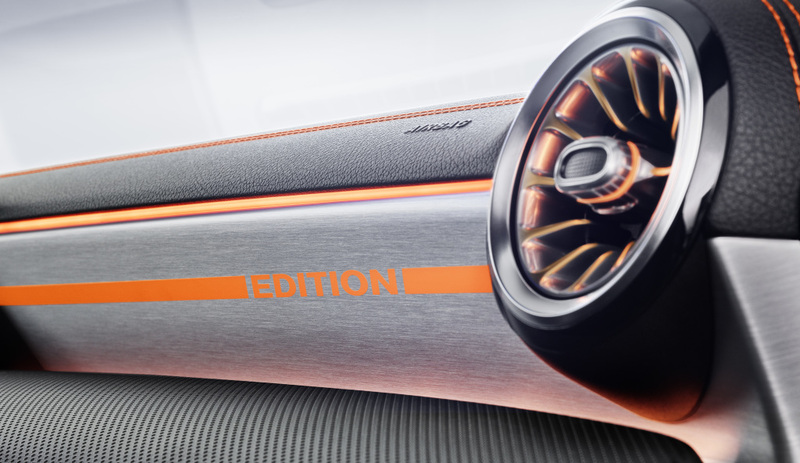 In terms of both the exterior and the interior, this limited edition special model has numerous visual accents which underline its exclusivity. 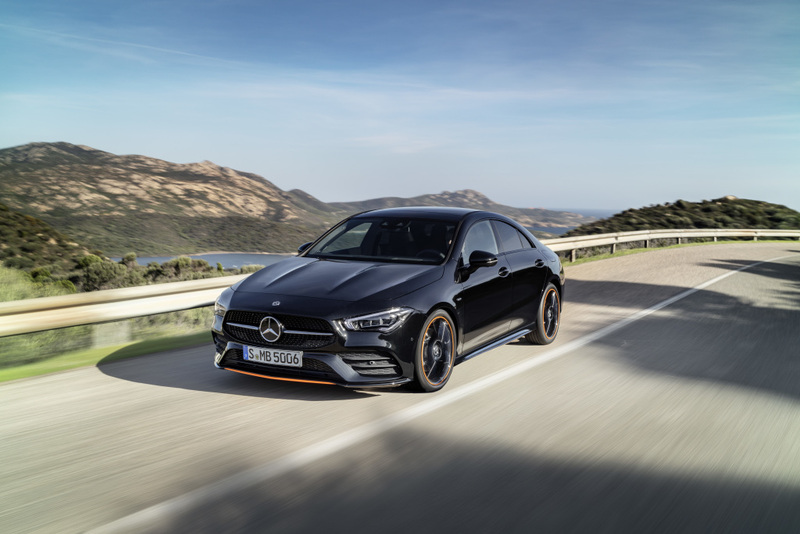 The new CLA will be manufactured at the Kecskemét plant (Hungary) and comes onto the market in May 2019. 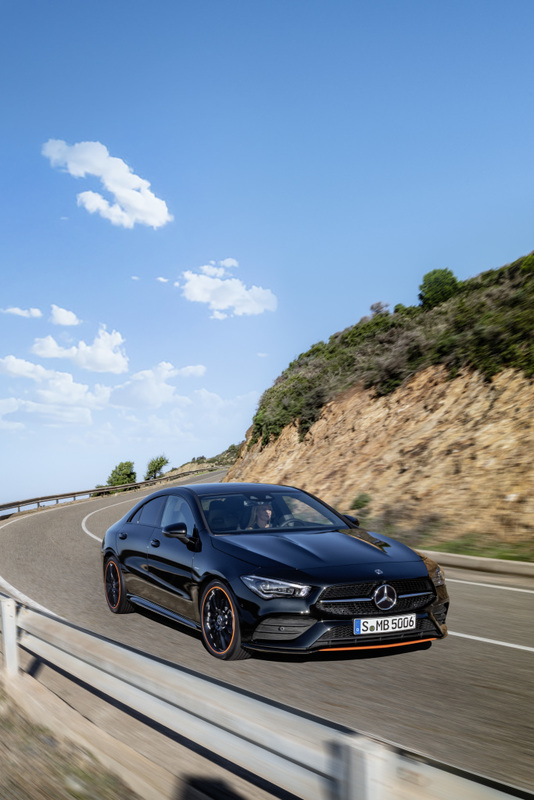 The combination of the long, stretched entry line above the windows and frameless doors give the CLA Coupé its unmistakeable sporty and elegant character. Forming the front end is the striking front section which is raked forwards like a shark nose with a long, stretched bonnet featuring powerdomes. Flat headlamps together with the low slung bonnet and the diamond radiator grille with central star create the vehicle’s sporty face. 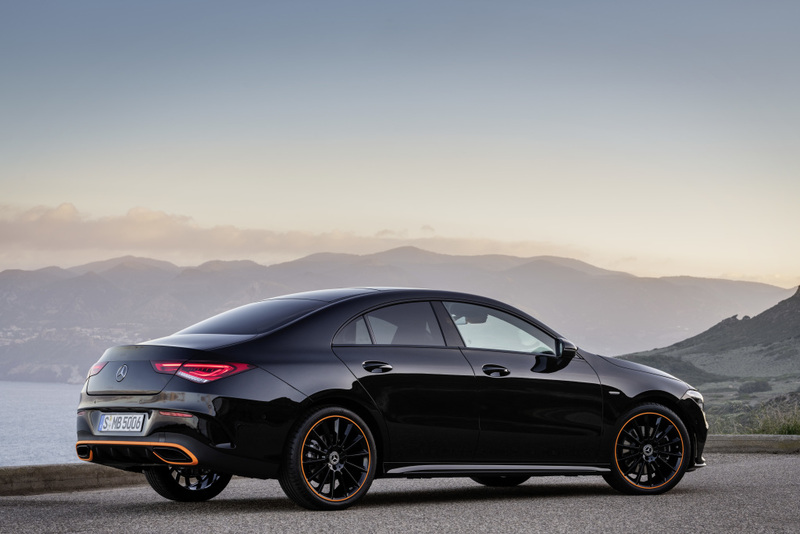 The two-piece, narrow tail lamps and the number plate housed in the bumper make the rear of the CLA look especially wide. With the greenhouse moved back, the sporty GT rear achieves a balance between elegance and sportiness. Featuring pared-down lines, the precisely modelled side profile provides an interesting interplay of light and shade. Dispensing with the upper shaped edge of the side wall permits extremely muscular and athletic shoulder shaping, stretching from the front wheel arch through to the sculptured rear. Flush with the outer edge of the body, the wheels with their flared wheel arches and wide track epitomise dynamism and give the vehicle a sporty presence. In the interior, all elements are arranged according to the overarching design themes of ‘high tech’ and ‘youthful avant-garde’ – be that the steering wheel, the door handle operating module, the centre console or the seats. As in the A‑Class, the unique interior architecture is shaped in particular by the avantgarde design of the dashboard: The designers completely dispensed with a cowl above the cockpit. As a result, the wing-shaped main body of the dashboard extends from one front door to the other with no visual discontinuity. The widescreen display is completely free-standing. The lower section is visually separated from the main body of the instrument cluster by a ‘trench’, and it appears to float in front of the instrument cluster. The ambient lighting enhances this effect. The air vents in a sporty turbine-look are another highlight. 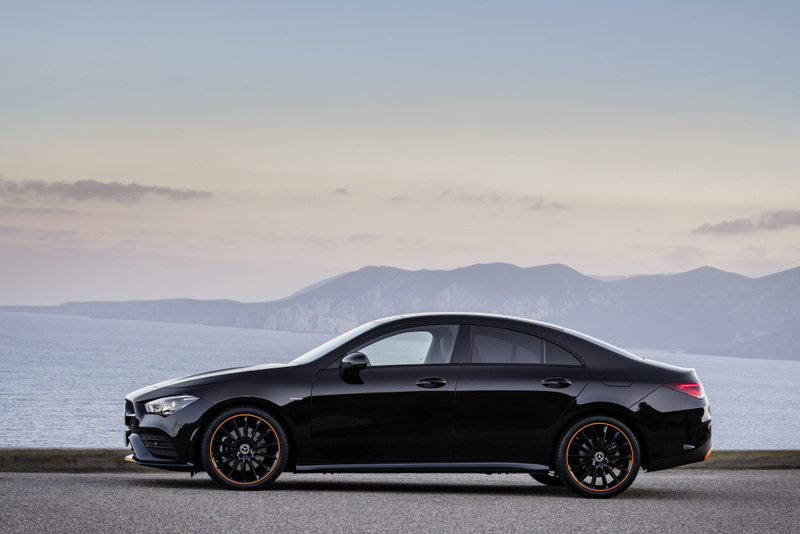 In terms of driving dynamics, too, the new CLA keeps the promise of its design. 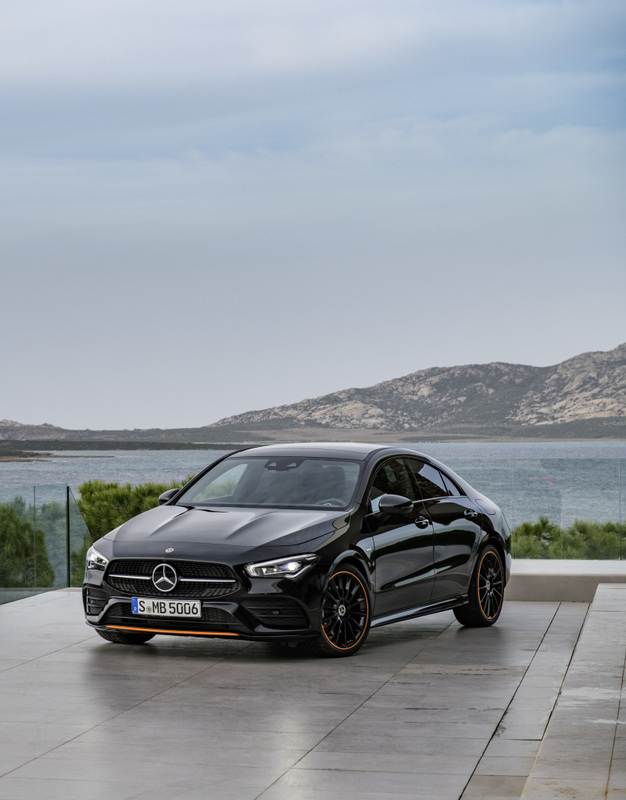 A wide track (an extra 63 mm at the front and 55 mm more at the rear compared to its predecessor) and a lower centre of gravity are the two key features which give the CLA the sportiest driving characteristics of all models in the new generation of compacts from Mercedes-Benz. The technical specification includes a decoupled multi-link axle at the rear for reduced noise and vibration, a Direct-Steer system as standard and hydromounts at the front. A stabiliser bar with a larger diameter reduces body roll. As an option, an active adaptive damping system is available, giving the driver the choice between comfort or a more uncompromising sporty tuning. 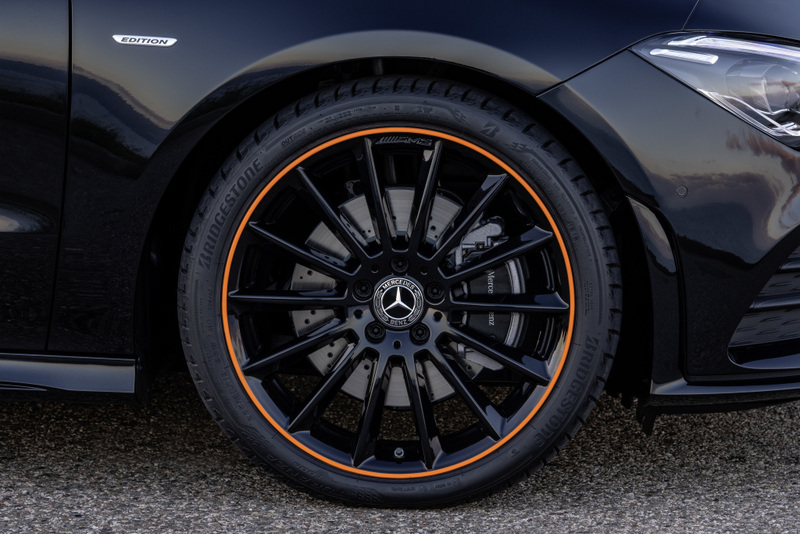 The range of wheels starts at 16 inches and goes up to 19 inches with tyre sizes starting at 205/60 R 16 and ending as standard at 225/40 R 19. 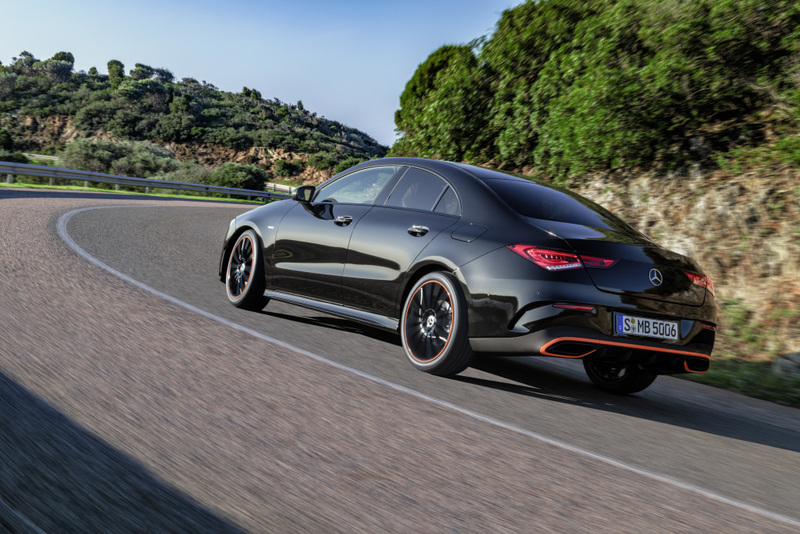 The ESP®has been specially adapted to the CLA’s potentially high cornering speeds and handling performance. 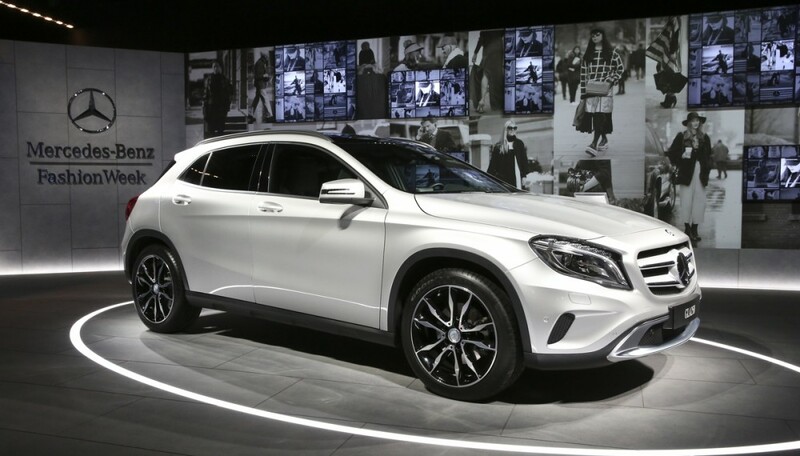 One year ago, MBUX – the Mercedes-Benz User Experience – created a furore at its world première at CES in Las Vegas. 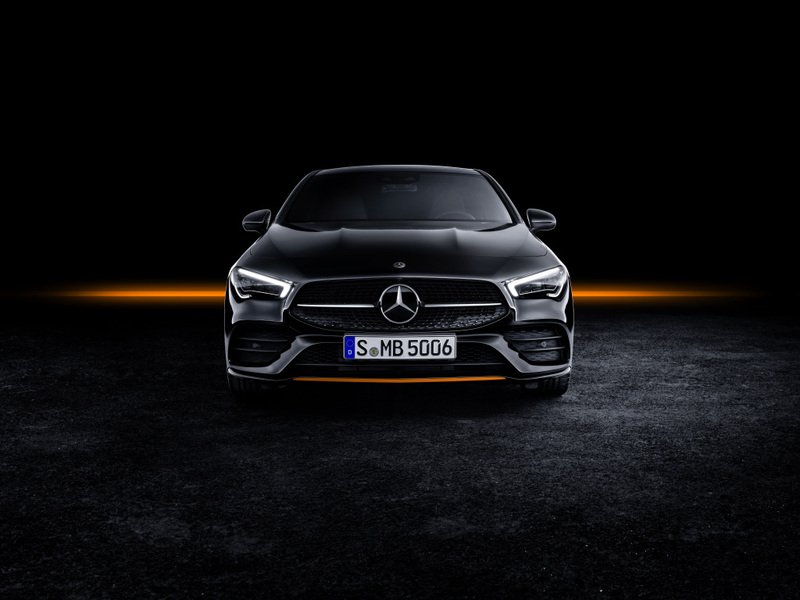 A powerful computer, brilliant screens and graphics, customisable display, full colour Head-up Display, navigation with augmented reality, software that can learn and “Hey Mercedes” – the keyword for voice control that explodes conventional automotive standards. 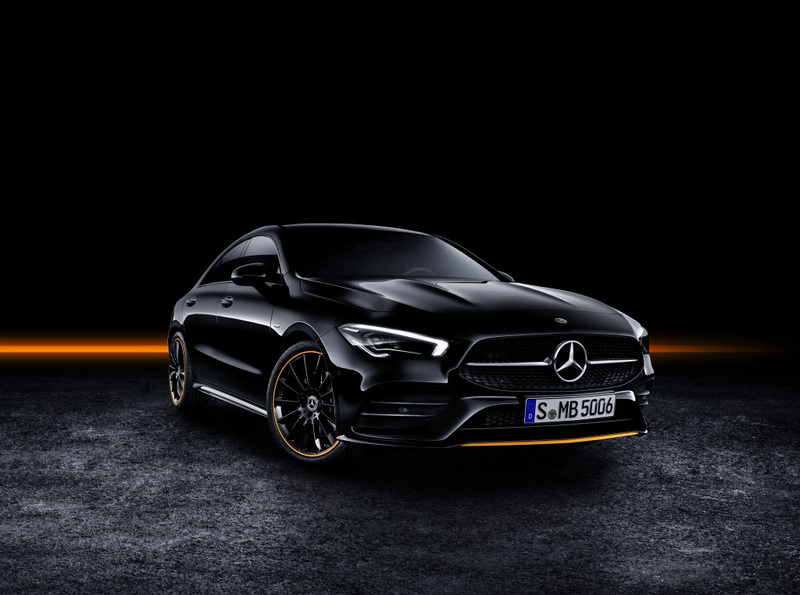 This is how Mercedes-Benz is revolutionising car operation and communication with it. Now the company is igniting the next level. MBUX Interior Assist facilitates natural operation. The voice control feature now recognises topical answers in a growing number of domains. Due to ongoing development of the system, it is also possible to take into consideration country-specific content providers. By recognising movements MBUX Interior Assist brings added intelligence to the interior. Thanks to innovative technology, MBUX now supports the occupants by making various comfort and MBUX functions even simpler and more intuitive. Interior Assist operates in non-contact mode and functions both in sunlight and in complete darkness. It enables the adaptation of screen content as soon as a hand approaches the touchscreen in the dashboard or the touchpad on the centre console, for example. Individual elements are highlighted according to the currently active menu. In addition, the system is able to distinguish between the driver’s and front passenger’s wishes and thus knows for whose seat the massage function is to be activated, for example. A special feature of Interior Assist is the personal favourites function. It is accessed by holding a hand over the centre console with the index and middle finger spread in a V-shape. In this way, any command which is controllable via MBUX can be stored for simple access. One typical favourite command is ‘navigate me home’. As the system is able to reliably recognise who is operating it, the driver and front passenger respectively can even assign different favourites to the same hand position. There are other functions which can be controlled intuitively, without any need to practise corresponding gestures: In the dark, the reading lamp can be switched on and off by briefly extending a hand towards the rear-view mirror, for example. If the driver reaches over towards the unoccupied front passenger seat in the dark, it will be illuminated automatically. This makes it easier to find any items which may have been deposited on the seat. As soon as the person’s hand leaves this area, the light automatically switches off again. 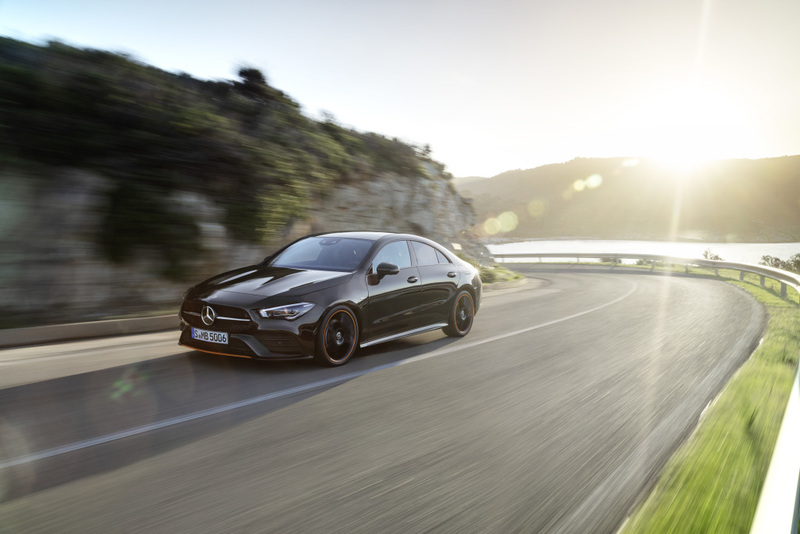 State-of-the-art of voice control can also be experienced in the CLA. Here too seat recognition has been implemented. 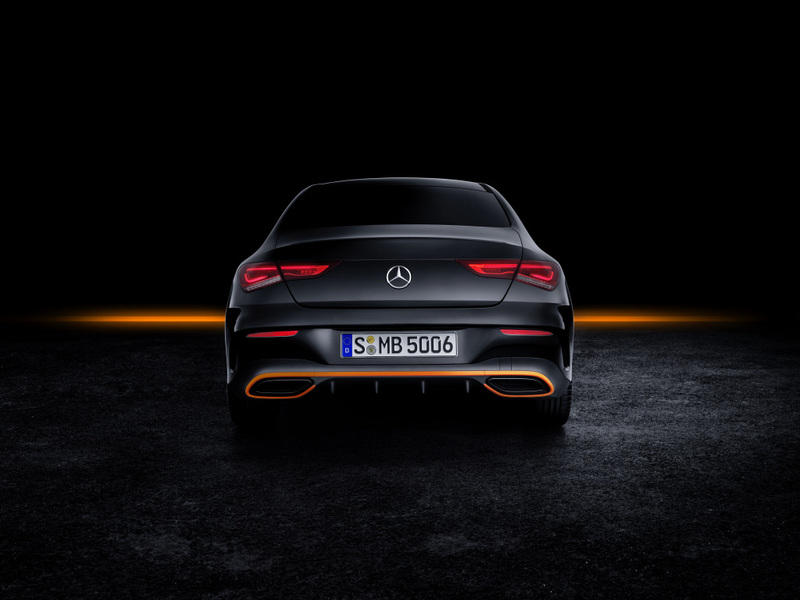 The voice assistance only responds to the commands of the person who last said ‘Hey Mercedes’ to activate the system. In the American market initially, the voice assistant can recognise and respond to considerably more complex queries, for example: ‘Find child-friendly Asian restaurants nearby with 4-star rating which are neither Chinese nor Japanese. ’ There is also a growing number of domains for which MBUX can understand complex questions and quickly reply: these include sport (‘Hey Mercedes, how did the San Francisco 49ers play? ’), the stock exchange (‘Compare the share price of Apple Incorporated to Microsoft’), calculations (‘ What is the square root of 3? ’) or general knowledge (‘How big is Texas? ’, ‘What is the fat content of avocados? ’). Energizing comfort control links various comfort systems in the vehicle. The intelligent recommendations from the Energizing COACH in the ENERGIZING Package Plus are completely new. In general, the ENERGIZING comfort control systematically uses the functions of the air conditioning system and the seats (heater, ventilation, massage) as well as lighting and musical moods, and enables a specific wellness set-up tailored to the mood and need of the customer. ENERGIZING packages with the ENERGIZING COACH are new. This service based on an intelligent algorithm recommends one of the ENERGIZING packages’ programmes depending on the situation and individual. The Mercedes-Benz vivoactive® 3 Smartwatch has its world première at CES. If it or another compatible Garmin®wearable is worn, personal stats such as stress level or quality of sleep optimise the accuracy of the recommendation. The aim is for passengers to feel well and relaxed even during demanding or monotonous journeys. In addition, the pulse rate supplied by the integrated Garmin wearable is shown on the media display. 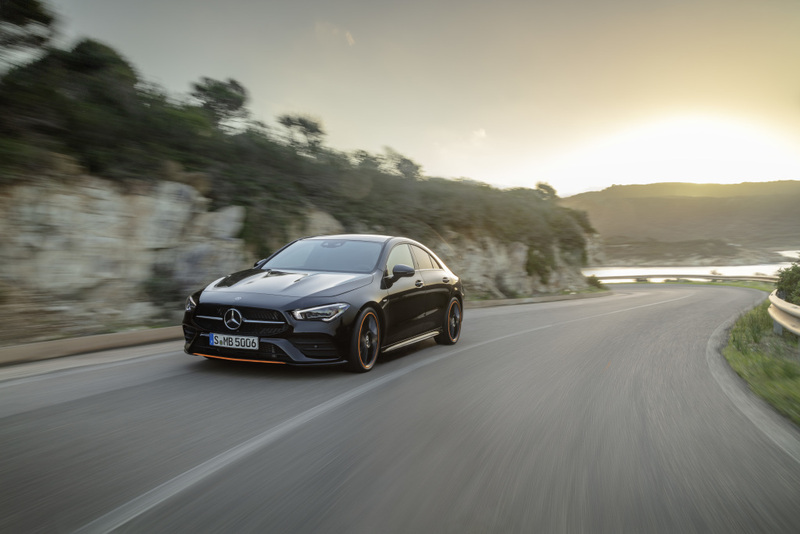 On the way to series production, the aerodynamics of the new CLA underwent a considerably longer phase of optimisation than its predecessor in the form of simulations, before the first measurements of models were carried out in the wind tunnel. This was possible due to greater computing capacity, as well as in particular more experience of working with simulation tools and their best possible and most efficient use in the development process. A key advantage of the simulation process is that it is easy to determine the exact proportions of the form, and to examine the effects of a change in form on flow at another point which is either before or after in the direction of flow, without it being necessary to make changes to the physical model. The result also sets standards: A Cd value of 0.23. 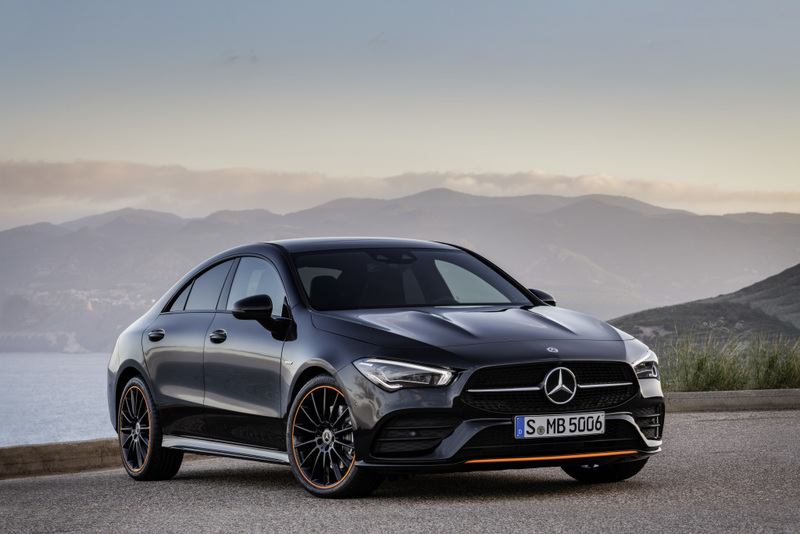 Work on optimisation was in close collaboration with the designers and was particularly intensive on the rear apron, radiator grille, the fog lamp recesses (the relief-like diamond-shaped pattern of which was reduced to the edge on the CLA for aerodynamic reasons) and the height of the diffuser. Totally new are the wheel-arch spoilers with their fins in the longitudinal direction; they help air to flow around the wheels with minimal losses. 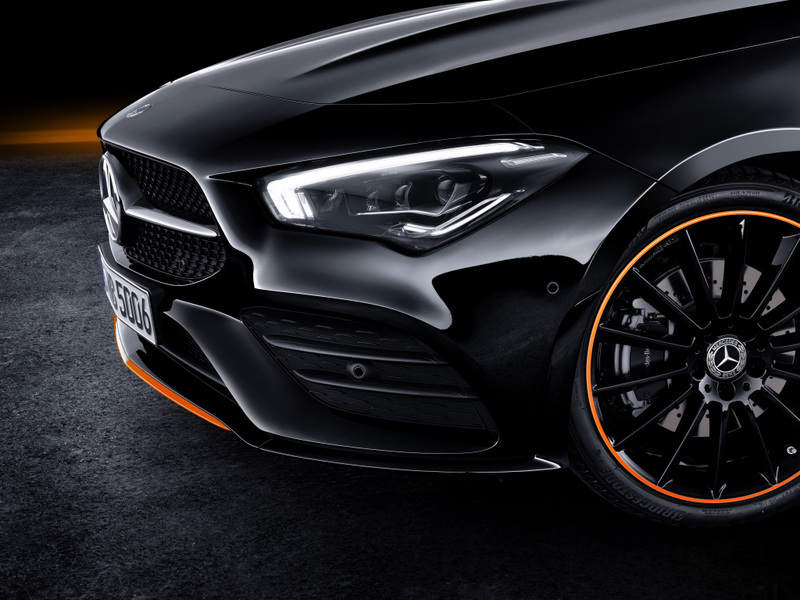 Aerodynamic finessing was also performed on the wheels and tyres – both for the regular wheel-tyre combinations and for what are known as aero wheels, which have been completely redesigned to achieve the best possible aerodynamic values and which also look attractive. Integrated as standard at the front of the vehicle is a two-piece shutter system behind the radiator grille, which regulates air flow through the engine compartment. The almost complete underbody panelling encompasses the engine compartment, the main floor, parts of the rear axle and the diffuser. 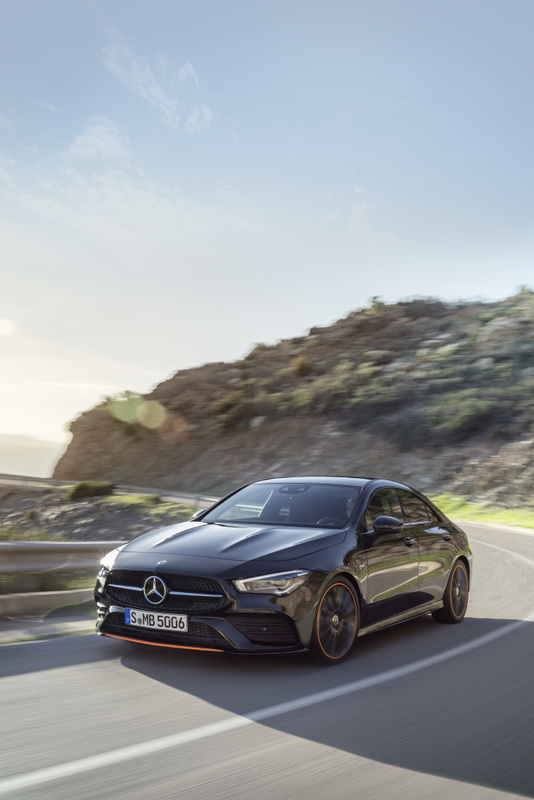 The CLA has the very latest driving assistance systems with cooperative driver support, and thus provides the highest level of active safety in this segment with functions adopted from the S‑C lass. 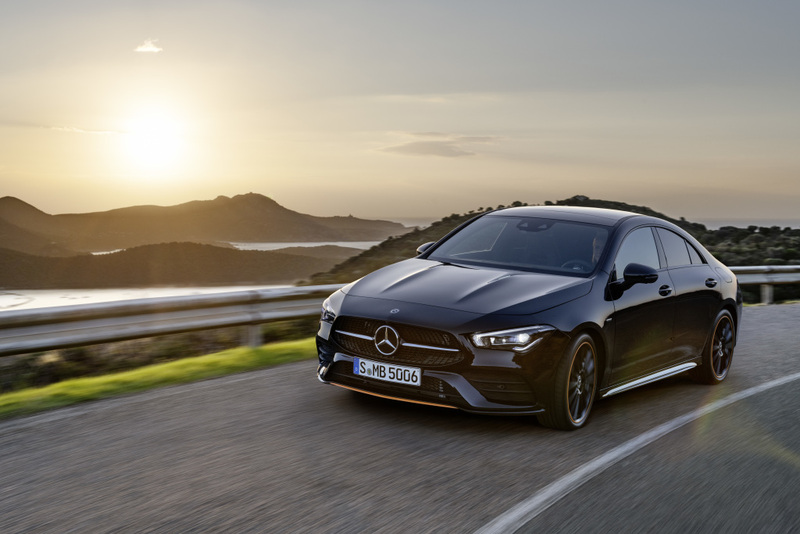 For the first time, the CLA is able to drive semi-autonomously in certain situations. To do this, it keeps a close eye on the traffic situation. Improved camera and radar systems allow it to see up to 500 metres ahead. The CLA also uses map and navigation data for assistance functions. 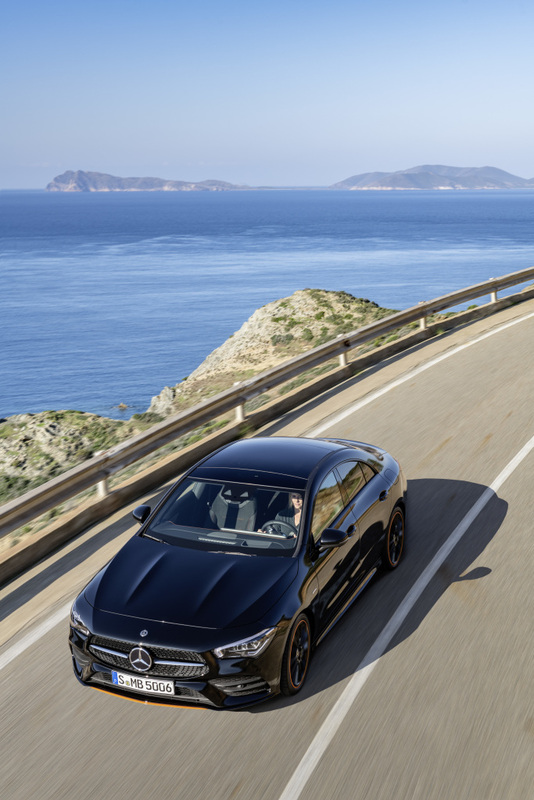 For example, Active Distance Assist DISTRONIC as part of the optional Driving Assistance Package is able to provide route-based support to the driver in numerous situations, and to predictively and conveniently adjust the speed, e.g. when approaching bends, junctions or roundabouts. Also on board are e.g. Active Emergency Stop Assist and intuitively understandable Active Lane Change Assist. 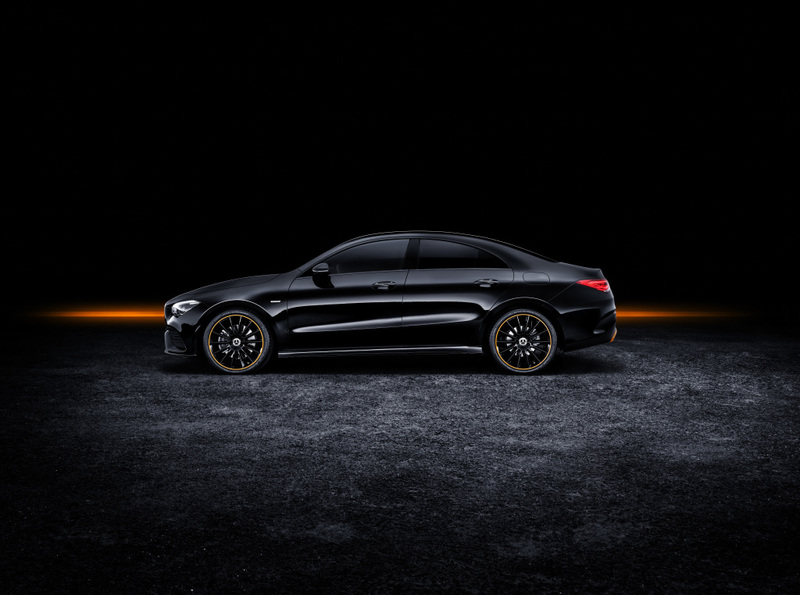 The new CLA comes with enhanced Active Brake Assist as standard. Depending on the situation, it can effectively help to mitigate the consequences of rear-end collisions with slower-moving, stopping or stationary vehicles ahead, and even with crossing pedestrians and cyclists, or to prevent them altogether. Active Lane Keeping Assist (likewise standard) is able to warn the driver by means of pulsed vibrations in the steering wheel when the vehicle is unintentionally drifting out of its lane at speeds between 60 and 200 km/h. If the vehicle passes over a solid line, it can pull the vehicle back into lane by applying the brakes on one side. In the case of a dotted line, such intervention takes place only when there is a danger of collision with a vehicle in the adjacent lane (including danger from oncoming traffic). PRE-SAFE® PLUS can recognise an imminent rear-end collision. If the danger of a collision persists, the system can also firmly apply the brakes of the stationary vehicle, thus lowering the risk of injuries by reducing the forward jolt caused by an impact from the rear. 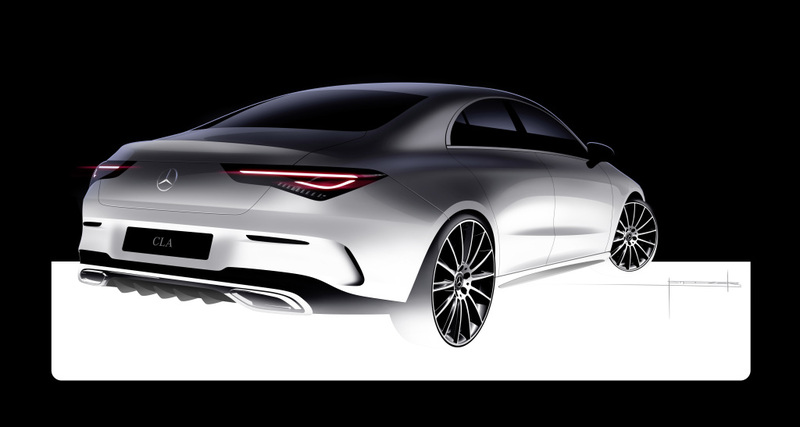 Another example of automotive intelligence and the transfer of technology from the luxury segment to the compact class are the optional MULTIBEAM LED headlamps. They allow extremely quick and precise, electronically controlled adjustment of the headlamps to suit the current traffic situation. 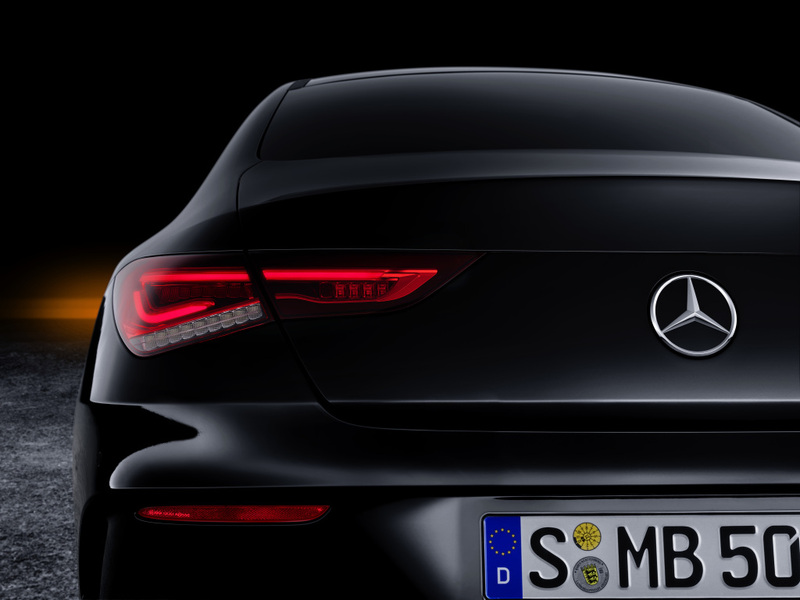 Each headlamp on the CLA incorporates 18 individually controllable LEDs. The daylight-like light colour of the LEDs is easy on the eyes and has a positive effect on concentration. The road ahead is precisely and brightly illuminated. LED High Performance headlamps are a further option. 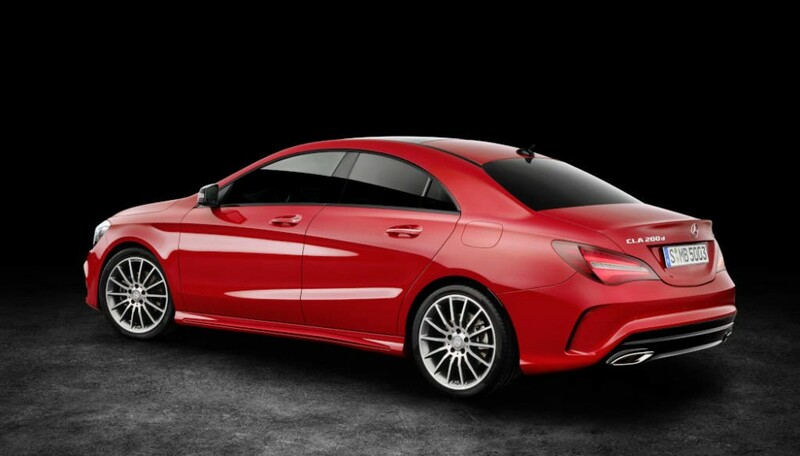 As standard, the new CLA is equipped with halogen headlamps with integrated LED daytime driving lamps. The tail lamps are also available with all-LED technology. 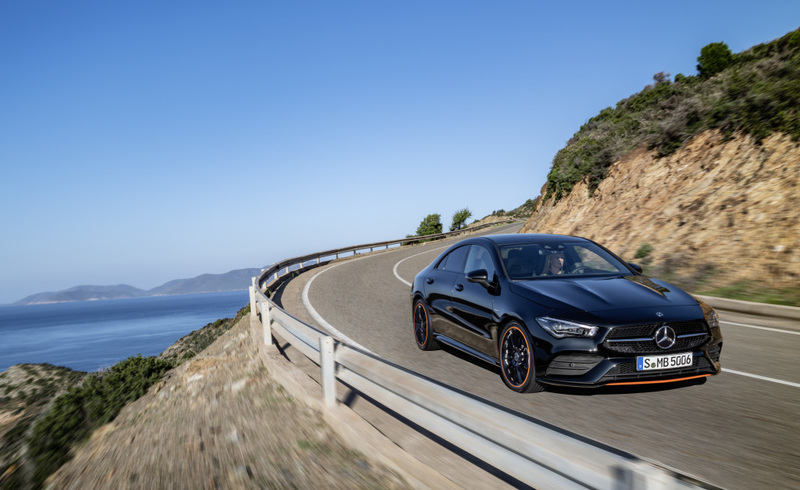 At the trade show presentation in Las Vegas, the CLA on display is the CLA 250 with the powerful four-cylinder petrol engine (165 kW/225 hp, 350 Nm) with 7G-DCT dual-clutch transmission (combined fuel consumption 6.3-6.1 l/100 km, combined CO2 emissions 143-140 g/km). 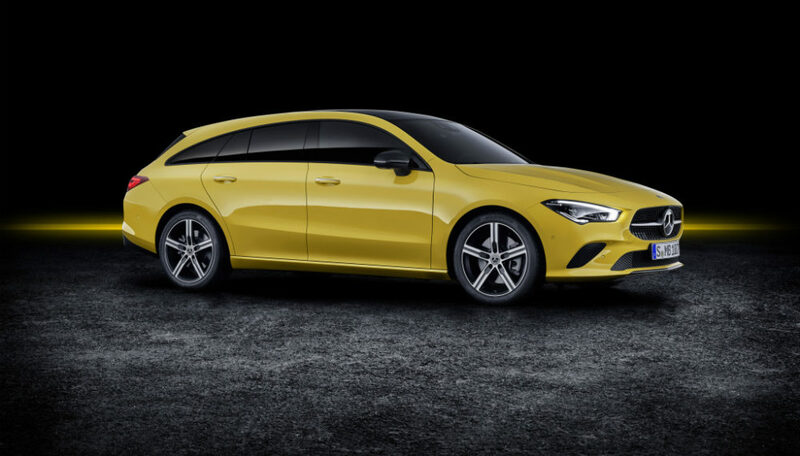 By the market launch in May, there will be a broad range of diesel and petrol engines available featuring manual or dual-clutch transmissions and 4MATIC all-wheel drive. The stated fuel consumption and CO2 emission figures are provisional, were determined by the technical service for the certification process in accordance with the WLTP test procedure and correlated as NEDC figures. No EC type approval or certificate of conformity with official figures is yet available. There may be differences between the stated figures and the official figures.